There are so many things that make P.S. 40 the extraordinary place that it is – from the superb teachers and staff, to the incredible school leadership to the supportive and caring families. We are fortunate to have parent volunteers who generously give their time to create fantastic events like Fright Night, Sports Night, bake sales, book fairs and so many other PTA events that bring our community together and raise money to enhance our children’s education. We are also fortunate to have families like you that donate to the Fund for 40, the PTA’s direct annual appeal, whose proceeds benefit all P.S. 40 students by helping to support teachers assistants, arts enrichment, professional development, chess, library books, homework planners, Visiting Authors Series, New York Historical Society workshops, classroom supplies, computer lab equipment and so much more. Without your support, P.S. 40 would be a very different place. The vast majority of funds allocated to each school by the New York City of Education provides only basic educational and capital needs (e.g., salaries, books, and supplies). The small amount of money remaining for educational enrichment poses a very difficult challenge: how to stretch limited resources to create what is best for our children, a well-rounded education that includes athletics, music, science, languages, and the arts. 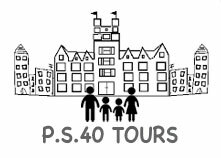 The Fund for 40 gives families an opportunity to help provide P.S. 40 students all the programs and activities that make our school such a wonderful community. The PTA spends over $700 on average per student. While the PTA does raise money from it’s many fundraisers held throughout the year, the Fund for 40 is our single community-wide direct appeal and accounts for a large percentage of our annual fundraising total. Without your support, we will not be able to continue to fund the same level of enrichment currently enjoyed by all P.S. 40 students. The PTA asks all P.S. 40 families to make a financial contribution to the Fund for 40. We strive to increase the percentage of families who participate, since all students benefit, and to keep up with ever-increasing costs in the face of shrinking resources. Your donation can be made as a one-time donation or can be paid over the course of the year as a monthly recurring payment. For convenient online donation, please click here. Or, please complete the form which can be found here and mail in your check or money order or drop it off personally at the school office. The P.S. 40 PTA is an IRS-designated not-for-profit organization so your donations are fully tax-deductible. An acknowledgment of your donation will be sent to you for tax purposes. Many corporations offer matching donation programs for their employees so please ask your HR department if your employer will match your donation. Historically, corporate matching generates a significant percentage of the Fund for 40’s collections and every dollar makes a difference! 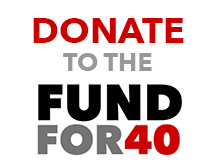 Please make your tax-deductible donation to the Fund for 40 today! Thank you for your support of the P.S. 40 PTA – and for supporting all our kids!